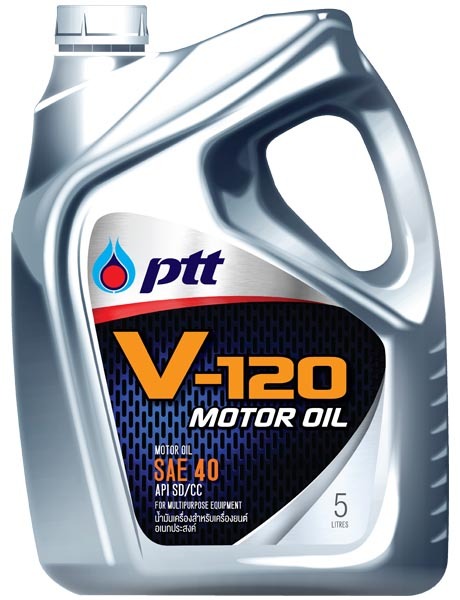 The groundbreaking technology of fully synthetic gasoline engine oil formulated from Di-Synthetic Protect technology with SAE 0W-30 and SAE 0W-40 viscosity, included the latest API SN Standard and fuel economy ILSAC GF-5/ ILSAC GF-4 Standard. Enhances vehicles driving performance with quicker acceleration response. Minimizes starting wear and lubricant top up. 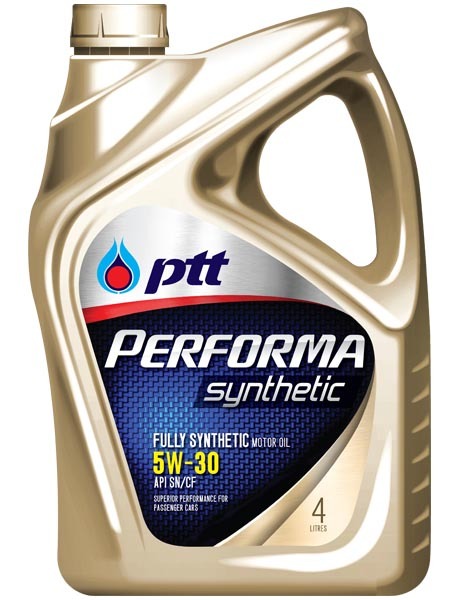 Maximizes engine’s cleanliness and prevents oil sludge formation. Extends oil drain interval and prolong engine’s life. Outstanding engine’s protection under extreme conditions and fuel economy improvement. 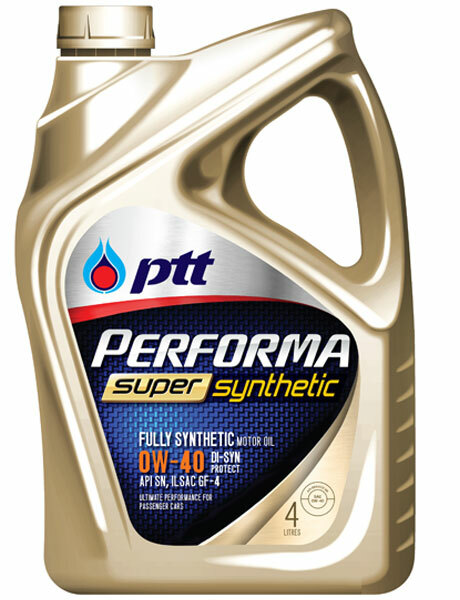 Performa Super Synthetic is recommended for all modern technology gasoline engines, including and excluding vehicles with turbocharger and MPV/SUV. For example Mercedes Benz, BMW, Audi, Volkswagen, Honda, Toyota. Copyright © 2019 PTT Philippines Corporation. All rights reserved.